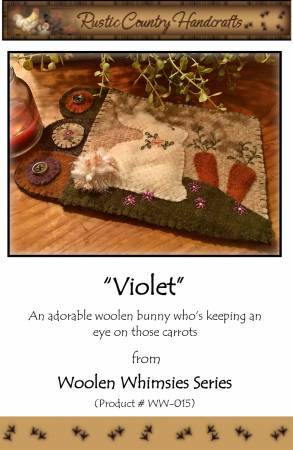 Violet is an adorable little cottontail bunny who is keeping an eye on the carrots. This woolen mug rug features colorful and whimsical embroidery. The rug can be used on a desk at work for coffee or with a candle. Finished size 8in x 5in.